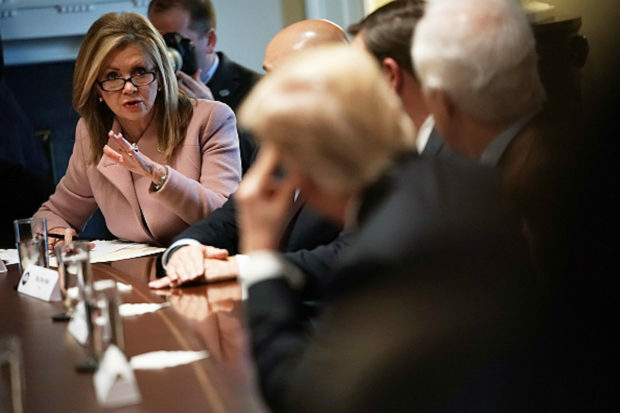 President Donald Trump endorsed Tennessee Republican Rep. Marsha Blackburn for U.S. Senate in the state’s Republican primary, in a tweet Thursday afternoon. Trump touted Blackburn’s position on “Military, Border Security and Crime” and announced that he would go to Tennessee to campaign with her. Blackburn is looking to replace Republican Sen. Bob Corker’s seat, who announced he would not be seeking re-election in September. The winner of the primary will take on former Tennessee Democratic Gov. Phil Bredesen.